But it’s NOT winter yet! 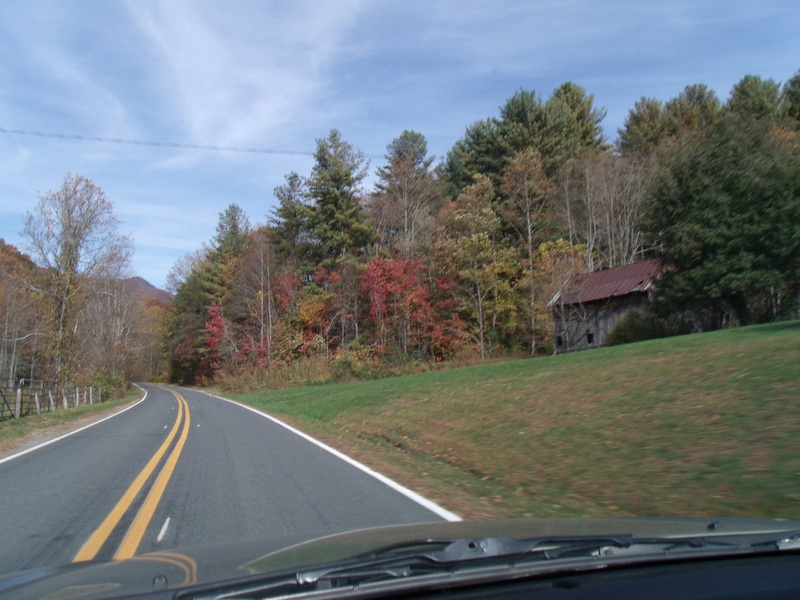 My afternoon drive home–with leaves still on the trees and NO snow. We had a couple of inches of snow from Hurricane Sandy. Nothing compared to what folks further north are contending with, but it was pretty dramatic for Western North Carolina. Now the snow is gone, the sun is shining and . . . it’s still autumn. Oh, plenty of leaves are down, but the oaks are still hanging on with deep reds and rusty browns. And we’re supposed to have a lovely weekend in the 60s with lots of sunshine. Right. Fall. But somehow my brains has already clicked over to winter. I want turtlenecks, fuzzy sweaters and thick socks. I crave hearty stews with glasses of red wine. I want to dig out the Christmas decorations. But I won’t. I have a rule about not decorating before December. So often I’m tempted to get ahead of things–the season, challenges that may or may not happen, future plans–God’s plans. So this weekend I’m going to enjoy autumn’s last hurrah. Maybe a walk in the woods, time with friends, a trip with Thistle to the dog park where I can sit in the sun while she plays and plays. It’s not winter yet–and for so many things it’s just not time yet.